Slatwall panels have traditionally been found in retail stores, used for display of merchandise. Whether they are made from timber, a composite timber product or PVC they offer great flexibility when needing to quickly adjust a wall display. Garage solutions like Storewall, offer high quality slatwall panels which can also be access by everyday consumers for their garages and workshops. Slatwall are coupled with slatwall hooks, baskets, brackets, bags and shelfs. 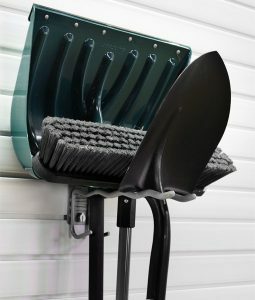 Wheel barrow – rather than just leaning your wheel barrow on the wall, why not use our Bungee Hook to wrap and secure the wheel barrow against the wall so that it will not slide off the wall and fall. 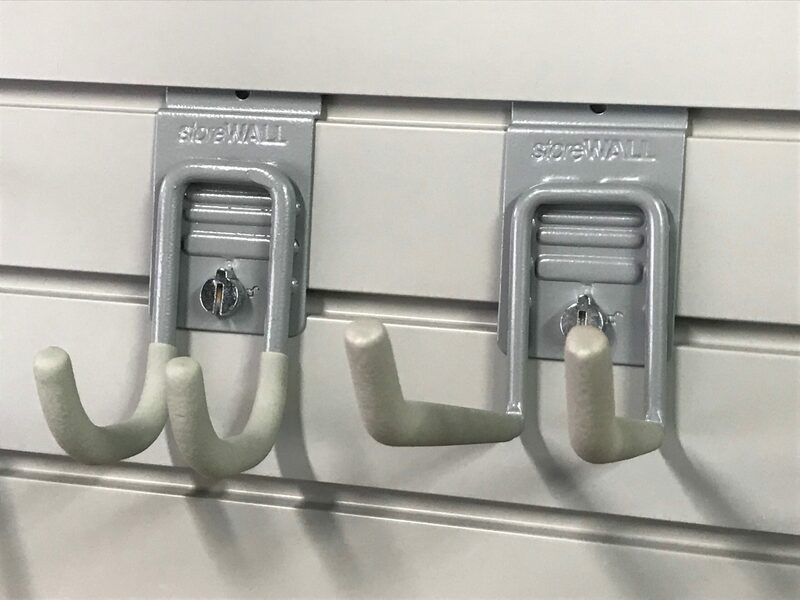 Storewall offers Bungee Hooks in 3 sizes to allow you to secure items such as timber, surf boards, window panes and even ladders. We go one step further with our Pole Hook. This slatwall hook allows you to secure your fishing rod or anything else with a thin rod. The pole hook is slightly angled to add securely grip the rod preventing it from slipping through the rod. If you have heavy tools and want them secured to your wall without the risk of your hooks bending from the weight and the tools themselves slipping off check out our Heavy Duty Tool Hook. It’s been designed for heavy tools so that you can store several of them together conserving space on your walls. 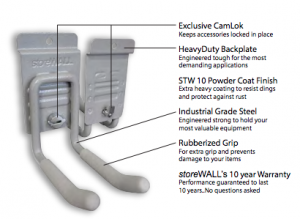 What makes StoreWALL equipment different from your ordinary hook set from your hardware store? All storeWALL’s accessories feature our exclusive CamLok system to lock your accessories securely into the panels. This chrome plated solid metal CamLok gives you the advantage of safety, security and protection. A simple twist holds the accessory securely in place; another turn and the accessory can be easily moved to a different location on the slatwall panel. All our accessories are built to perform with superior construction and the best materials: industrial grade steel, heavy duty powder coat finishes and soft touch protective rubberised grip will withstand years of use and abuse.